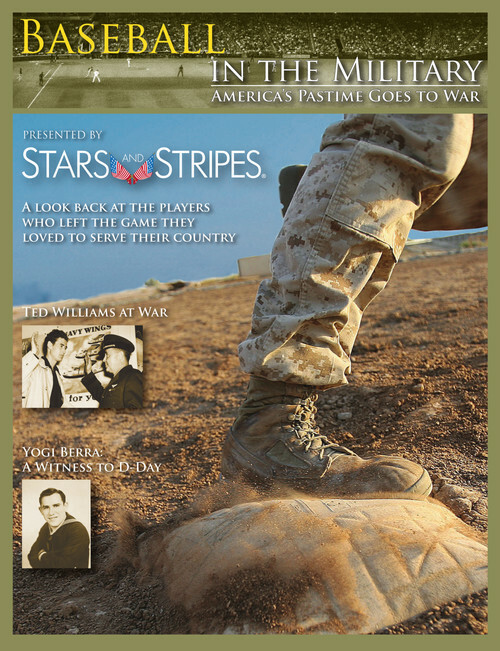 Stars and Stripes Baseball in the Military takes a look back at the players who left the game of baseball to serve their country. From stories of players serving in the Chemical Warfare Service of WWI, to the racial bigotry Jackie Robinson faced as a both soldier and a ball player, to an interview with President George H.W. Bush about serving in WWII, meeting Babe Ruth and his friendship with Ty Cobb, this publication covers the hardships many of these heroes faced and the American pastime that made them famous.